Low-cost passive elements substitute electronic sensors for joint positions, force/torque and tactile data. Positions are determined using visual markers, while force sensing relies on deformable elements, such as rubber foam. A camera obserses these elements remotely. The physical measurements are calculated from the image by our software. 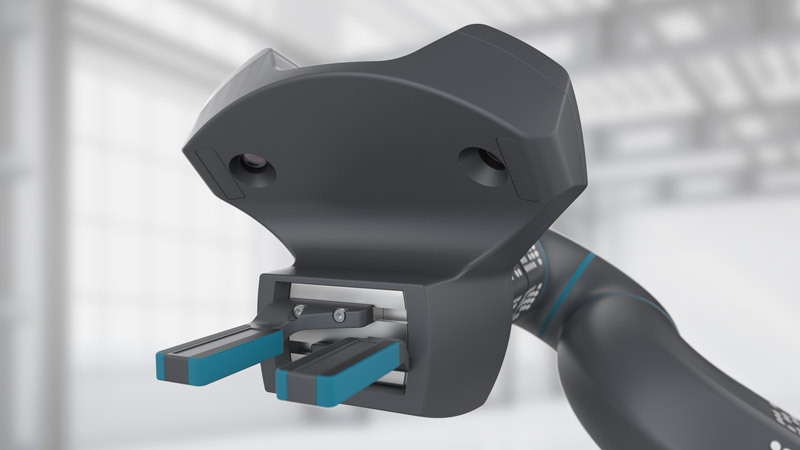 Visevi’s sensor software greatly simplifies the mechanics, hardware design and wiring of robot arms – and thus enables their use in low-cost automation, service robotics and consumer applications. 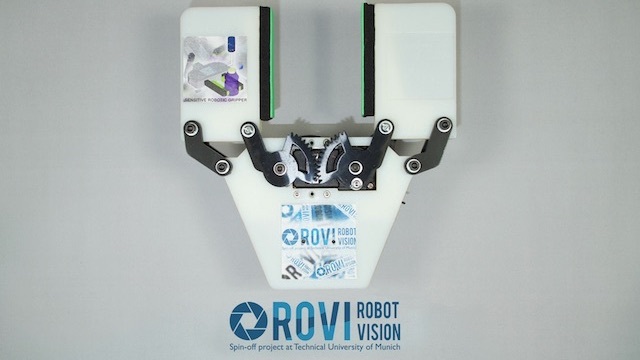 The robot is continuously auto-calibrated, enabling the use of low-cost structural parts even for precise manipulation tasks. Learn more about our products and solutions! Joint position sensors or encoders are indispensable for any robot arm. Our technology determines the joint states remotely, using only a camera and an image processing software. 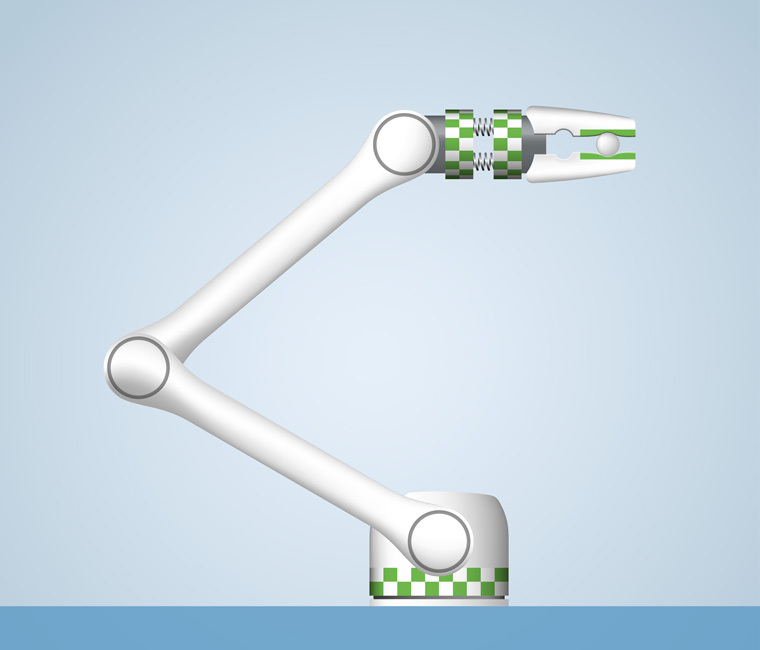 The software accurately localizes patterns on the robot arm, indicated in green in the picture, and calculates the joint positions from these visual measurements. These sensors measure 3D force and 3D torque, usually between the robot arm and the tool. They allow for force control and teaching of motions. Our solution relies on a very simple passive, elastic structure, which bends when forces are applied. This bending is observed by the camera and converted to a force/torque signal by our image processing software. Tactile sensors provide a pressure or contact profile, similar to touch we feel on our skin. They offer rich feedback about the grasping process and are thus essential for adaptive and sensitive grasping processes. 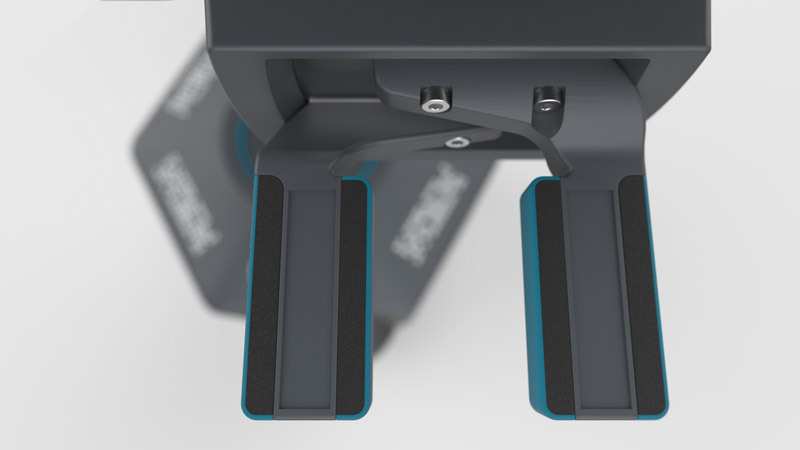 Visevi's camera-based solution requires only a passive and low-cost foam bar on the fingers, which deforms on pressure. Our image processing software derives a tactile signal from the observed deformation. 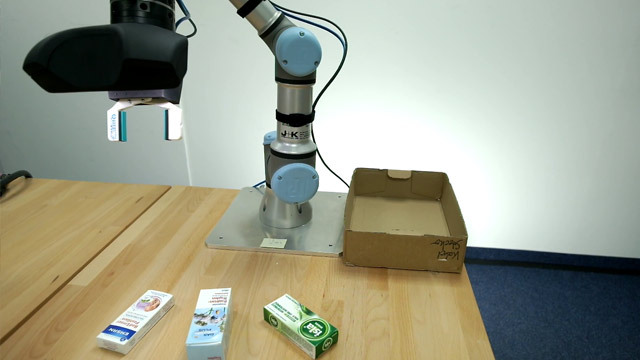 The following shows some exemplary use cases and applications for robots using our sensing system. Do not hesitate to tell us about your application! We will provide a quick evaluation of what our technology can do to solve your automation problem! Click on the text below to learn more! 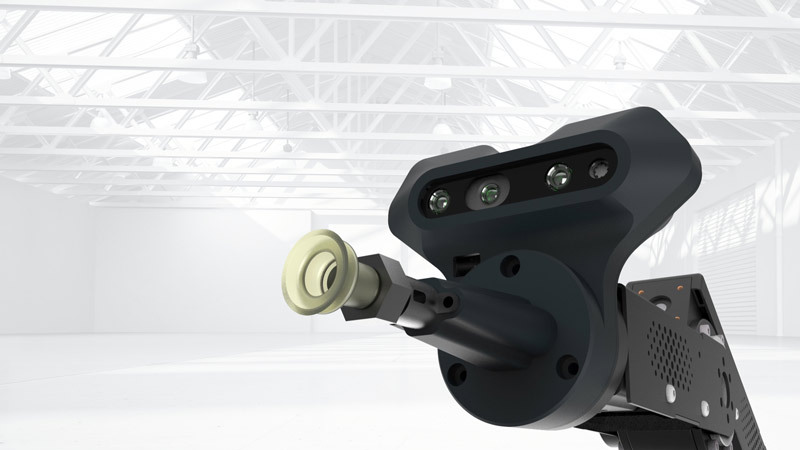 Our camera-based sensing technology enables lightweight, low-cost and mobile robot arms. They fit on any desk or workbench to assist a human worker. With integrated computer vision, they are easily adaptable and can detect objects. Take your grasping applications to the next level! Handle objects of different shapes, rigidities and materials with a single versatile and self-adapting gripper. With our tactile sensor, you get rich feedback about the grasped object and the grasping state. Commission small parts such as screws, fittings or plastic part in exact quanities for packagaing or for subsequent worksteps. The robot can do this step even right on the workbench using our versatile grasping system, or any another manipulator. Monitor the status of your automation systems by adding our software-based sensors. Data and statistics are processed on-site or in the cloud and presented on any web browser. Package parts or components provided by a machine or a human worker. 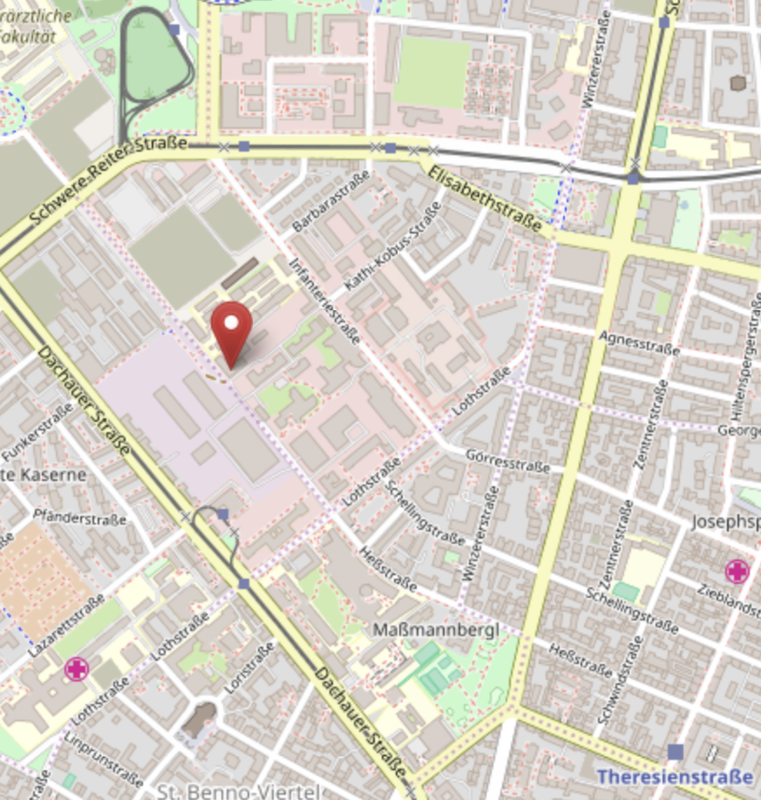 Our camera-based system flexibly localizes new parts, picks them and places them to a free spot. This video shows our intelligent gripping system during a pick-and-place task. 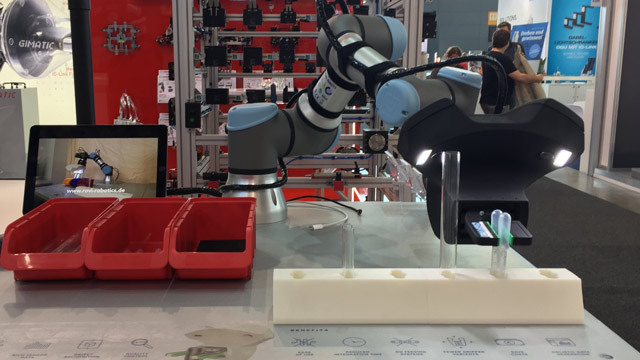 This video shows our intelligent gripping system, demonstrated at the Motek 2018 trade fair in Stuttgart. 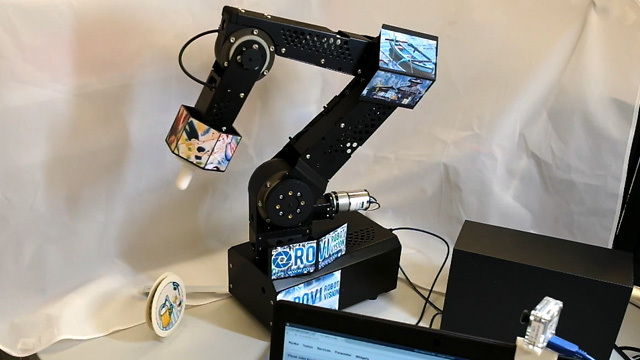 This demo video shows the fully camera-based control of a "sensorless" robot arm. This video shows how we build a sensitive gripper from low-cost, 3D-printed parts and presents the rich feedback provided by our tactile sensor. 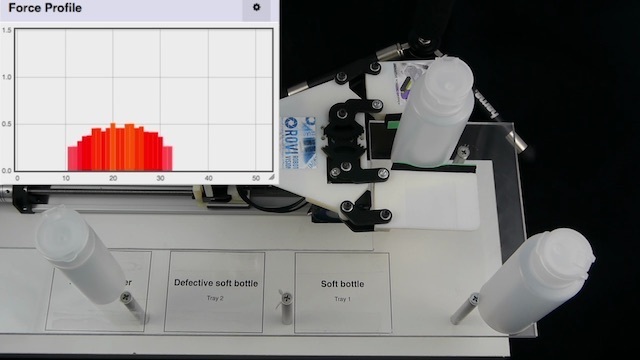 Using our tactile sensors to detect defective plastic bottles. 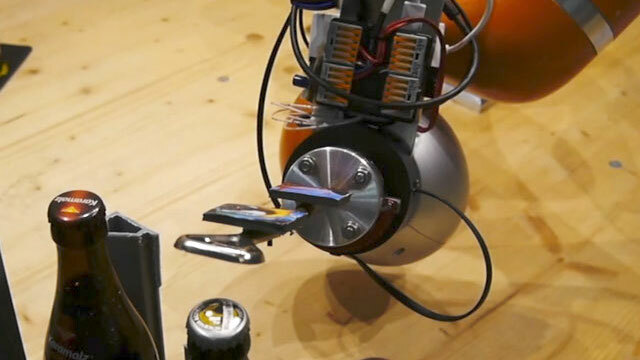 The robot in this video opens a beer bottle using a 6D camera-based force/torque sensor.